Bob Schachner, the senior audio designer at ShootersINC (foreground), and Brad Petrella, manager of engineering services (background), pictured with one of their new RAVEN MTX Multi-Touch Production Consoles by Slate Pro Audio, sourced through GC Pro. WESTLAKE VILLAGE, CA, March 20, 2014 — Guitar Center Professional (GC Pro), the outside sales division of Guitar Center that focuses on the needs of professional users, is proud to be the exclusive U.S. dealer of the RAVEN MTX Multi-Touch Production Console by Slate Pro Audio. By getting the RAVEN MTX into the hands of top pros, GC Pro is helping leading facilities move to their next generation workflow – a recent prime example of which is the Philadelphia-based integrated production company ShootersINC. Bob Schachner, the senior audio designer at ShootersINC, has worked on most of the company’s iconic content, from prime-time spots for clients including A&E, Lexus, The Weinstein Company, and Scripps Networks Interactive, to the original content they’ve been helping develop, such as the Food Network's hit Restaurant: Impossible. After keeping his Avid Pro Control working in one of Shooters’ three audio control rooms for nearly a decade after Avid announced it would discontinue the platform, he knew he had to move on. In doing so, he faced the same dilemma every working professional does when their most familiar tools approach obsolescence: finding new ones that are compatible with all of their other systems but that also manage to let them manage their workflow just as they had before. Schachner says he found that in the Slate Digital RAVEN MTX console, the third of which was installed at Shooters in November. “What we like about the RAVEN MTX is that it doesn’t demand that you learn it – it accommodates how you work, for instance, by letting you get started quickly and then allowing you to learn different shortcuts and other things at your own pace, as you need them,” observes Brad Petrella. 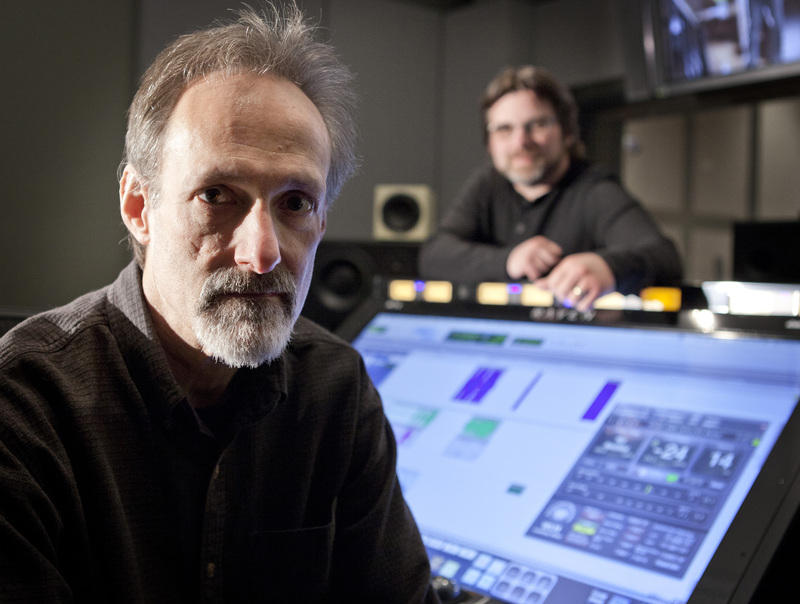 Photo Caption: Bob Schachner, the senior audio designer at ShootersINC (foreground), and Brad Petrella, manager of engineering services (background), pictured with one of their new RAVEN MTX Multi-Touch Production Consoles by Slate Pro Audio, sourced through GC Pro. Guitar Center is the leading United States retailer of guitars, amplifiers, percussion, keyboards and pro-audio and recording equipment. Our retail store subsidiary operates 259 Guitar Center stores across the United States. In addition, our Music & Arts division operates 101 retail stores specializing in band and orchestra instruments for sale and rental, serving teachers, band directors, college professors and students. We also are the largest direct response retailer of musical instruments and related products in the United States through our wholly owned subsidiary; Musician’s Friend, Inc., and its catalogs and owned or operated websites. More information on Guitar Center can be found by visiting the Company’s website at www.guitarcenter.com.